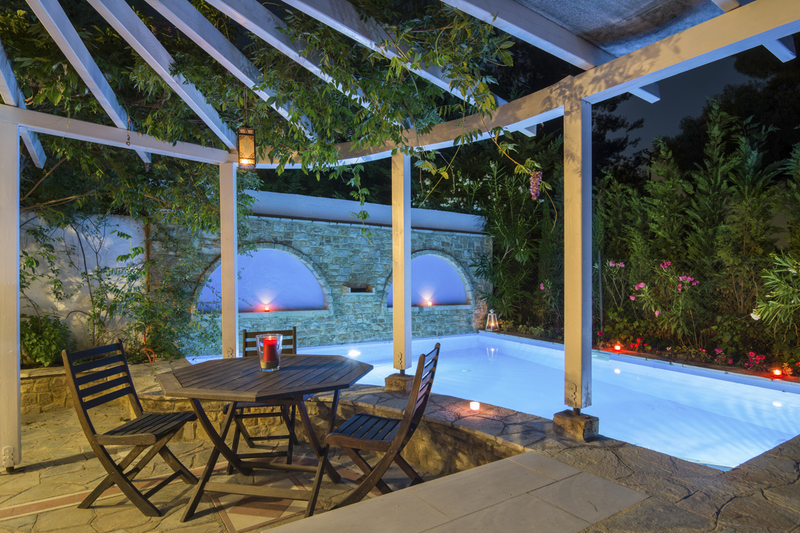 Two-bedroomed Elderberry Villa is designed for an idyllic holiday in the natural landscape of Sithonia, on the peninsula of Halkidiki, Greece. This area is peaceful and quiet, yet it’s only a short drive from sandy beaches and amenities including restaurants and markets. A short car ride will also take you to the vibrant town of Nikiti, rich in both culture and history. 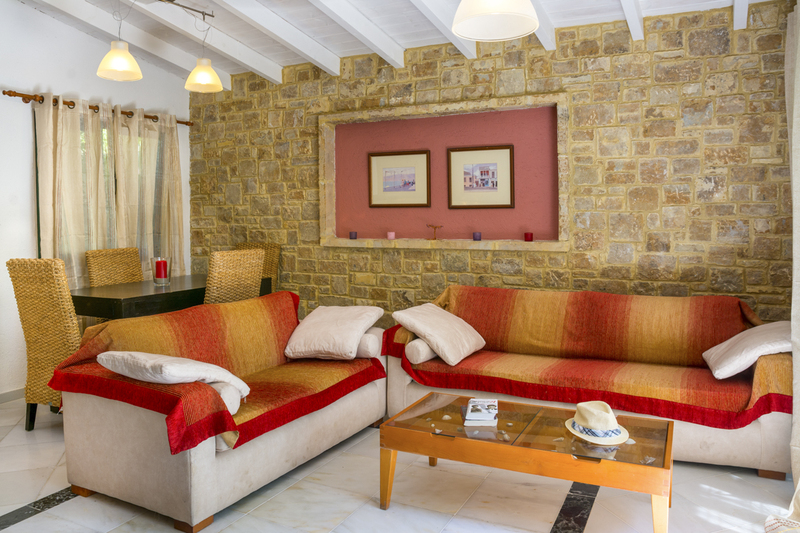 The villa’s excellent location makes it an ideal base for couples or small families looking for a relaxing yet fun-filled Greek stay. 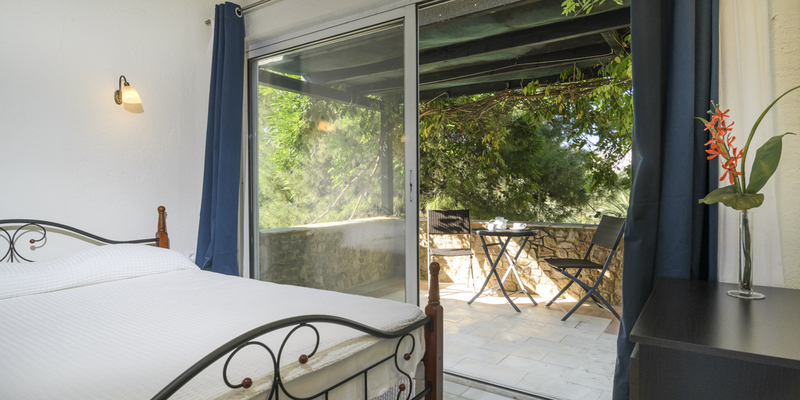 The villa is lovingly and elegantly furnished with comfortable beds and cushioned sofas and can sleep up to four across its two spacious double bedrooms. 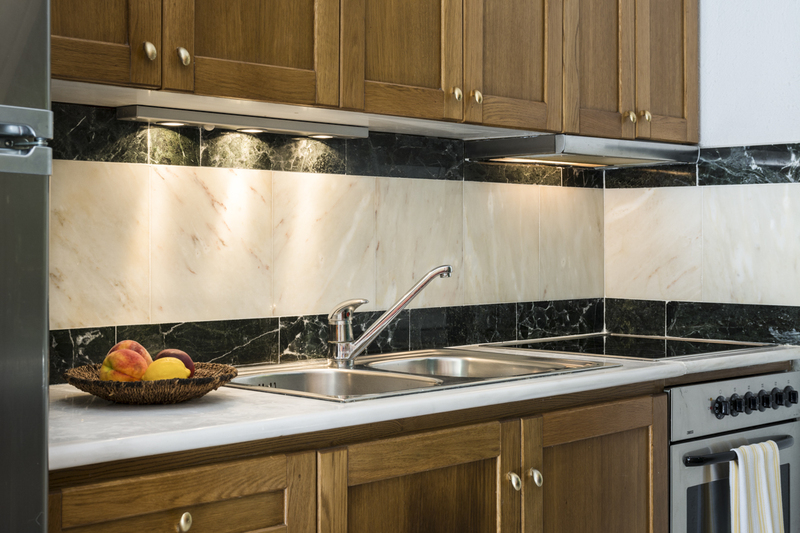 On the ground floor is the main open-plan living and dining area with a fully-equipped modern kitchen for a homely stay. Doors floor the room with beautiful natural light and lead directly out onto the paved terrace. 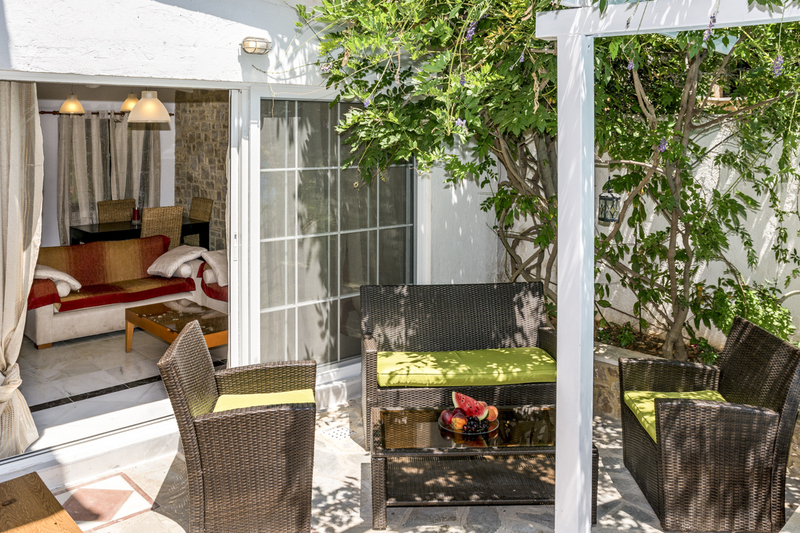 There you’ll find cushioned seating, sun loungers and your private outdoor pool. 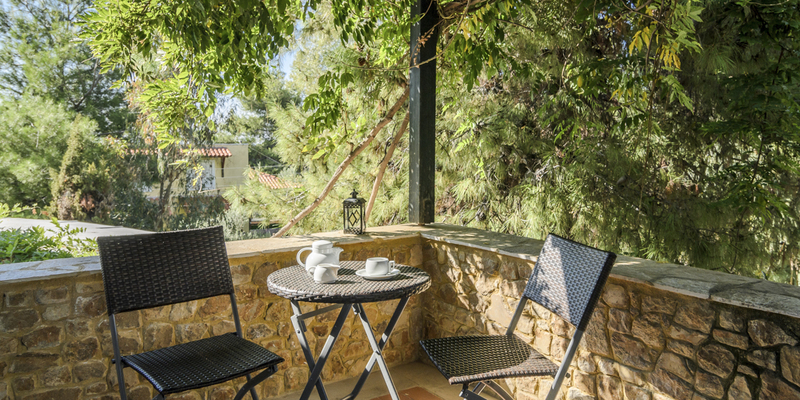 There’s also an al fresco dining table under shade for enjoying your breakfast, lunch or evening meal with serene nature views. Tall trees surround the villa for your utmost privacy, and vines are creeping up the walls and potted plants and flowers dotted around the grounds. Made from rustic stone, the classic-looking property nestles peacefully into its surroundings – you have to look closely to know that it’s even there. By night, you can light the candles and lanterns in the garden for a romantic feel or sit on the balcony that’s joint to one of the bedrooms and survey the forested and mountainous landscape. 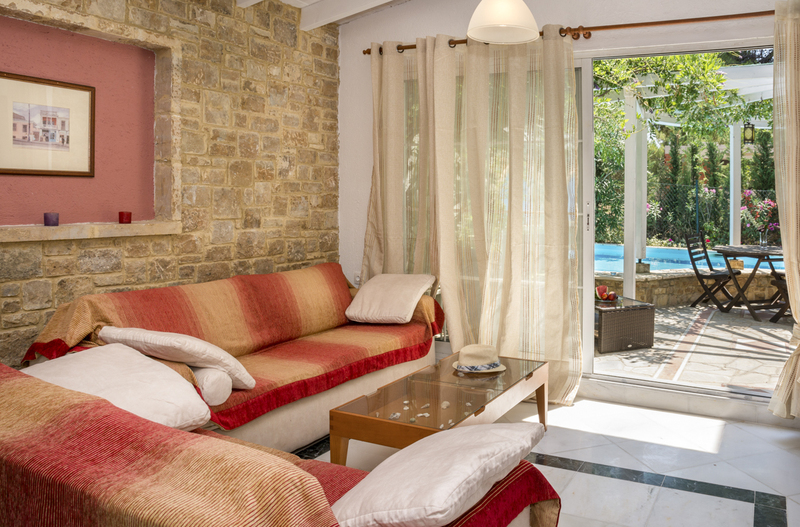 With Blue Flag beaches and charming villages, all within a short drive Elderberry Villa is the ideal place to explore more of the stunning part of Greece. There are winding trails that take you through the pine-tree lined forests and past the jutting peninsula. Tantalise your taste buds with fresh local cuisine like fish mezes or moussaka or immerse yourself in the culture at one of the historic sites. Halkidiki is a treasury of ancient Greek archaeology and is the birthplace of philosopher Aristotle. 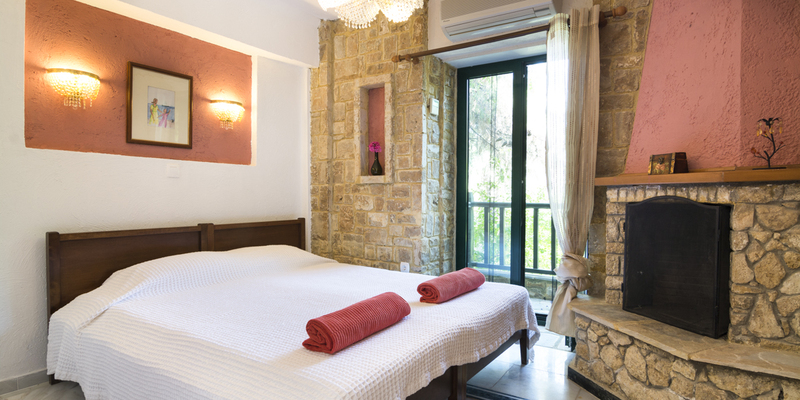 Elderberry Villa is ideally located in Sithonia on the peninsula of Halkidiki, northern Greece. The breath-taking area is renowned for its Blue Flag beaches, pine tree-lined forests and mountainous terrain. It’s also the birthplace of the famous philosopher Aristotle and there are plenty of impressive ruins for you to visit. You can also join one of the walking or mountain biking routes and head to Mount Itamos, the highest peak on Sithonia for panoramic views over the peninsula and a fantastic bird’s eye view of Mount Athos to the east and Mount Olympus in the west. For relaxing afternoons spent by the coast instead, there are fifty Blue Flag beaches with calm waters for you to choose from. 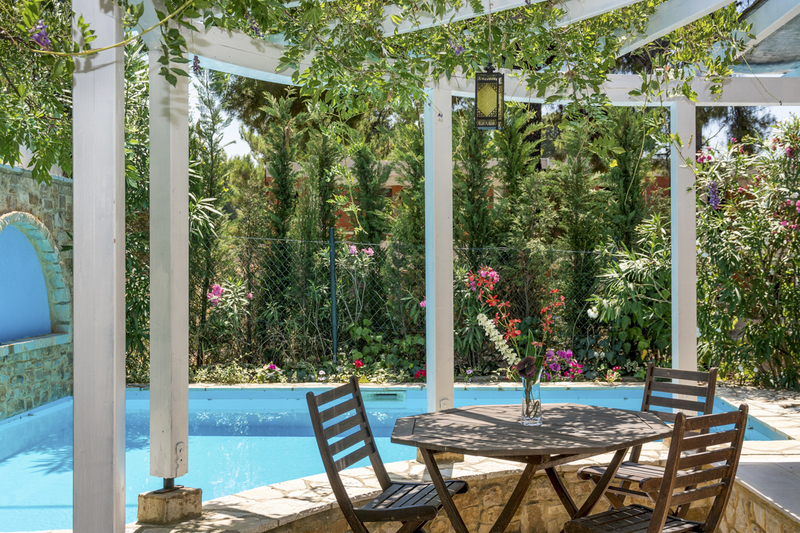 The villa is close to Akti Elia, a mix of soft sand and pebbles where you can sunbathe on the shore, read in the shade or swim in the glistening Aegean. You’ll also find plenty of opportunities to take part in water sports like sea kayaking and scuba diving at many of the beaches. Colourful corals, blue lagoons and rocky caves are waiting to be explored. For fun day trips, you could jump on a boat trip, stopping off for snorkelling by some of the more untouched coves. There are plenty of beautiful villages too where you’ll find local restaurants serving traditional Greek cuisine and shops selling everything from souvenirs to fresh produce. Ouranoupolis village – a short drive from the villa – has Byzantine monuments and pretty beaches. Parthenonas, sitting pretty on the slopes of Mount Itamos and with taverns, a museum and sea views is also an excellent choice.